WE BOUGHT A HOUSE! It’s our first home and we couldn’t be happier. We closed on the house today and of course I couldn’t wait to get in there with my camera! We went to the house around 7:30pm. It was cold and dark and I wasn’t used to taking pictures in such poor lighting. There were so many shadows and window reflections. SO we can add this to my list of things to learn! Even though they aren’t the best pictures they are so special to me because this is the place we will raise our little man “C” and make so many memories. 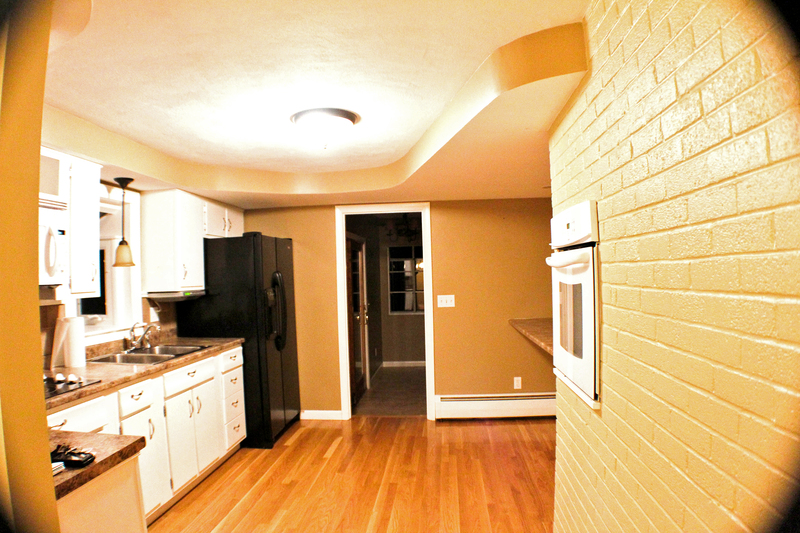 They will make good “before” pictures and I can’t wait to move in and take some “after” shots! An example of one of the pictures I took at the house tonight. This is the view from the dining room into the kitchen. 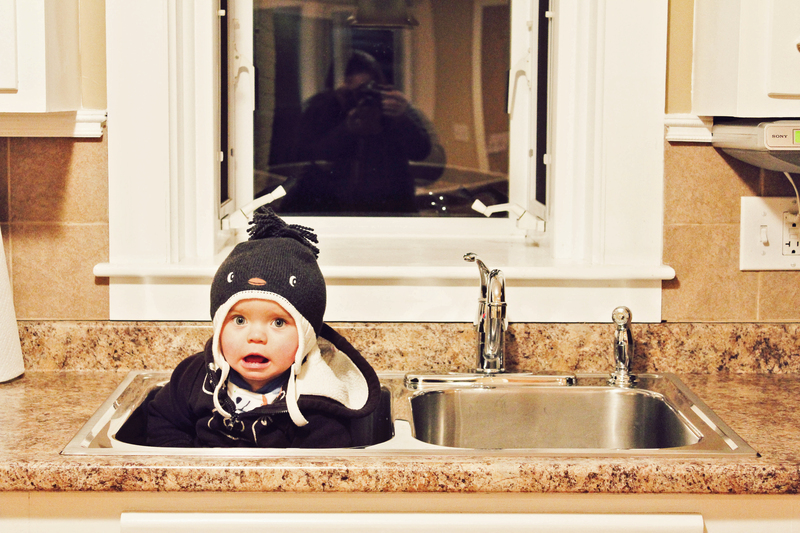 “C” hanging out in the kitchen sink as we did the walk thru. I just wish there wasn’t the reflection in the window- add it to the list. 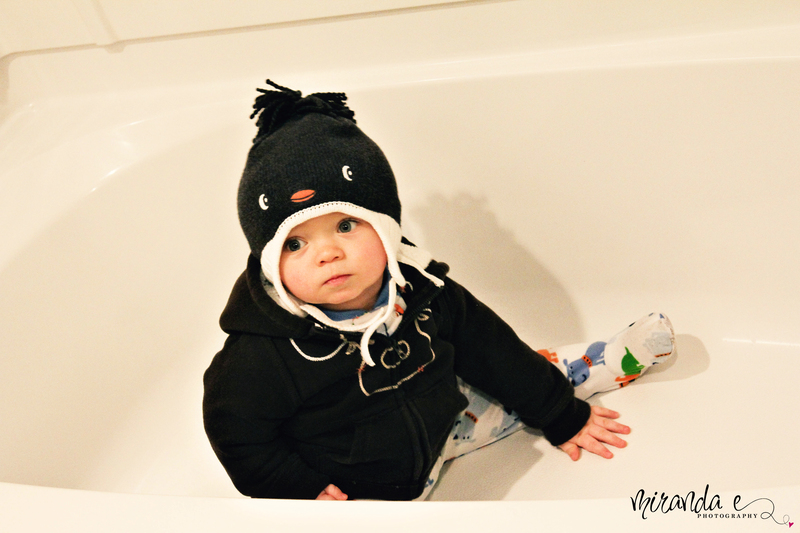 “C” in his favorite place – the bath tub! I will follow up with some day light pictures! I am going to do some research about shooting in these conditions and I will let you know what I find.